I have quickly learned that the mass is a bit different than in Martin Luther's day. There are actually many different masses from outward appearance. 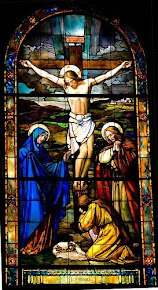 I know, I know, there is only one mass if we are talking about the one sacrifice of Christ, true. But as for how the liturgy unfolds, there is an incredible diversity. And diversity is exactly what there shouldn't be. Even IF we could limit the liturgy to the two current options of the "ordinary form" and the "extraordinary form" there would still be a problem. The Church should have one liturgy. I should be able to walk in and know what is going on in any mass around the world. Just the fact of having two different forms of the mass is itself a major problem and makes the Church look bad. Why have 2? Is it for personal taste of the "congregation"? It better not be. Does one form glorify God more than the other? Then dump the other one. See what I mean? Why is there two now when one is how things have always been before the 1960's. The answer appears to be that Vatican II was misinterpreted and implemented in the worst cultural meltdown in human history, and the "Novus Ordo" mass became something it was not intended to be. This makes a ton of sense considering the revolution of the 60's/70's. So should the Novus Ordo be dumped? Apparently not, because the V2 council did make changes. So just going back to the old pre-V2 mass would appear to not be the way to go either. Isnt that intense? And his authority is intense also. Seriously, I am rooting for him to be the first American Pope. Will this combining happen anytime soon? Unfortunately that is highly doubtful. I don't understand why the pope cant just make it happen. Snap his fingers and get it done. Who will say no to him? But apparently that is not how things work. Things go sloooow. That's ok, I will humbly submit to whatever happens whenever it happens. I am just glad to see that the guys in charge can see the problem. Perhaps my children will have a Church with a single mass. ... "And with your spirit." I know, I know, it will take some getting used to, but overall your sci-fi discussions will be on a new level of accuracy and beauty if you start using this response. Eastern Orthodoxy is aging and dying, while Catholicism is set to increase. In simple terms: as Russia goes, so goes Eastern Orthodoxy. The reason, in my view is diversity. Catholicism is diverse, covering all geography and people groups, and is immune to being decimated when one group or region is decimated. Not so for Orthodoxy. Nearly every country has a declining fertility rate. 1,114 million Catholics with a fertility rate of 2.49. 230 million Orthodox with a fertility rate of 1.42. These 6 countries make up 82% (190 Million) of Eastern Orthodoxy. But religion is not all they have in common. Not only are these countries geographically close and culturally similar, but these countries have the some of the lowest fertility rates in the world. Combined, their fertility rate is a frigid 1.37 (Keep in mind that replacement rate is 2.1 for a developing country). 1.37 means a rapidly aging and shrinking population, which is currently happening. Russia is home to 48% of Orthodoxy. Out of 222 countries, Russia and Bulgaria place 196 and 195 in global fertility respectively and have the best fertility rates of the 6 countries with a horrific 1.42. Ukraine, which houses 16% of all Orthodox, has an abysmal fertility rate of 1.28. And those 6 countries make up 82% of Eastern Orthodoxy! The other 18% of Orthodoxy does not leave room for hope either. It is just as regionally isolated, and its fertility rate is barely higher at 1.67. There is no significant area of Orthodoxy that is growing. Now let’s take a similar survey of the Catholic world. The top 27 countries which comprise 82% (906 Million) of Catholicism have a fertility rate of 2.45. That is a nice solid number that means growth. Another thing which becomes obvious is the diversification. Like a balanced financial portfolio, the Catholic population is scattered. By the time we get to #11 on the list of most populous Catholic countries, which is the 30 million Catholics in the Congo, we have gone from latin America to North America, over to the Philippines and then to Eastern and western Europe. There are developed industrial countries to 3rd world and everything in-between right up at the top of the list. There is an incredible diversity. There are 30 million Catholics in Congo with a fertility rate of 5.68. Wow. The 70 million Filipino Catholics have a fertility rate of 3.19. Even the United States bucks the global trend of developed nations with its replacement rate of 2.06. 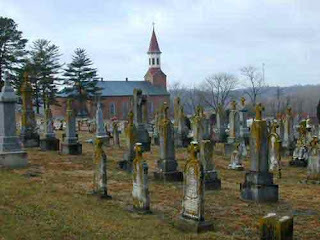 Ironically, the US is one of the most fertile places for the Orthodox. But, there are only 1.2 million Orthodox in the US. Of course my numbers are assuming that the fertility rate of a nations Catholic or Orthodox population is at least as good as the national fertility rate (And yes, I also assume that a high fertility rate is good). In some cases, particularly less developed countries, I would think that the more devout subsets of the population would have a higher rate. In my own case, this is true. My 3 siblings and I (we are all serious about or religion) have a combined fertility rate of >6. And I know for a fact that high number has something to do with religious conviction in every case. Combine this reality with the fact that the Catholic Church is by all accounts growing more conservative, with more open teaching against contraception, and a more willing laity to obey those directives, and the future looks bright for Catholics. Is there a similar undercurrent in Orthodoxy? I cant say. I know they have dropped the ball on the contraception issue, that is a fact. But one crucial thing the data tells us is that Orthodoxy is regional. As Russia goes, so goes Orthodoxy. And Russia aint going anywhere. It is actually shrinking, with that trend predicted to continue. There are simply no bright spots in the demographic future of Orthodoxy. The website where I obtained most of my data on Orthodoxy actually included ~22 million “Orthodox” in very fertile (6.02) Ethiopia. One problem, those are Oriental Orthodox, and are absolutely not in communion with Eastern Orthodoxy. I doubt if any of our Greek or Russian Orthodox brothers would want to claim them as their own. The most populous country with a decent Orthodox population and a decent fertility rate is the US. Keep moving down the list looking for good fertility rates and the only ones you will find are such sparkling gems as Kyrgyzstan, Syria, Iraq, Turkmenistan, Azerbaijan, Jordan, Israel, Tajikistan, Palestine, and Turkey. I think it is not a stretch to say that it is the Muslims in these countries that are pushing up the fertility rates, not the Christians. Combine this with the fact that half of Orthodoxy resides in Russia, which is on the bottom of the “religiosity” scale. Basically, Russians as a whole simply don’t care about religion. Compare with Brazil, the Philippines and even the US, which are fundamentalists compared with Russia. Another factor to consider is Islam. Orthodoxy and Islam often share the same territory, Whereas the majority of Catholicism does not. I don’t think it is controversial to say that in those countries where they coexist, in general Islam slowly dominates through intermarriage conversions and other factors. So that leaves us with a very narrow, well defined, and fairly easily predicable outlook for Eastern Orthodoxy. Because it is so narrowly defined within certain nations which are imploding, it is fair to say that Orthodoxy is imploding. Will it disappear? No way. There are always subsets of a population which have higher than average fertility rates. I am sure there is a woman in Russia right now who has 7 kids. If that is something she passes on to her descendants, then the fertility rate in Russia will someday be higher. But the size of the population will have decreased dramatically. I think this is far less likely to happen in Catholic countries such as Brazil, Mexico, central Africa and the Philippines. They will maintain above replacement levels of fertility and skip the drastic decline that Russia and eastern Europe are experiencing. I think that this data almost certainly means that the 230 million Eastern Orthodox in the world will be declining rather rapidly in the coming 2 generations. Those who are left will no doubt be more devout, which may or may not be good for the prospects of Catholic/Orthodox reunion, but they will be much fewer. I predict there will be a bit less than 100 million Eastern Orthodox by 2070. For the same time period I predict there will be over 2 billion Catholics. Of course I do not wish ill on anyone, and I sure do wish the Orthodox would start to out-breed their Muslim neighbors, or better yet... become Catholic. But I am a Catholic who sees the Catholic Church as THE kingdom of God, the rock that grows to fill the earth from Daniels vision, the mustard seed that grows to a huge tree, etc. Why would anyone not want to be a part of that? And I see in these demographics perhaps the working out of God’s plan. I can’t prove it, but it is interesting to think about. Here is a powerhouse comment by Bryan Cross on Called to Communion about the Catholic/Orthodox numbers game and other important considerations. One thing I know, is that the scope and reach of the Catholic Church is well worth considering. It is the biggest organization on the planet. Stop. Re-read that. Yes, it is the biggest organization on the planet. It shouldn’t work, but it does. Watching the Catholic Church is like watching a perpetual motion machinerun or seeing a unicorn; it can’t be, but there it is. The only thing that comes close is Sunni Islam with its 940 million. But Sunni Islam can hardly be described as one group with one hierarchy. This aspect of the Catholic Church is to me miraculous. As stupid and evil humans can be, that one organization with such grand claims for itself could survive so improbably for 2000 years is… well, a miracle. It is one among many reasons to submit to the Magisterium of the Catholic Church. And it was one of the reasons I did not submit to Eastern Orthodoxy. Heresies had abounded from the start, but in the third-century, churches began to take up a new defensive posture against them. 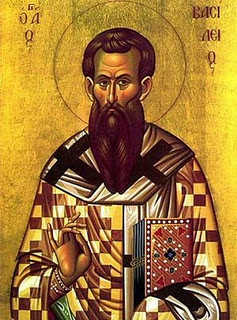 Would it not be the case, Tertullian argued, that churches founded by the apostles would have a secure footing for their claims to authenticity, in contrast to potentially heretical churches? This argument buttressed the growing claims to preeminence of the Roman church. However, it is interesting to note that in the middle of this century, Cyprian in North Africa argued that the words, “You are Peter …” were not a charter for the papacy but, in fact, applied to all bishops. And he says to him again after the resurrection, 'Feed my sheep.' It is on him that he builds the Church, and to him that he entrusts the sheep to feed. And although he assigns a like power to all the apostles, yet he founded a single Chair, thus establishing by his own authority the source and hallmark of the (Church's) oneness. No doubt the others were all that Peter was, but a primacy is given to Peter, and it is (thus) made clear that there is but one flock which is to be fed by all the apostles in common accord. If a man does not hold fast to this oneness of Peter, does he imagine that he still holds the faith? If he deserts the Chair of Peter upon whom the Church was built, has he still confidence that he is in the Church? This unity firmly should we hold and maintain, especially we bishops, presiding in the Church, in order that we may approve the episcopate itself to be the one and undivided." Compare for yourself. Did Wells represent St. Cyprian properly? 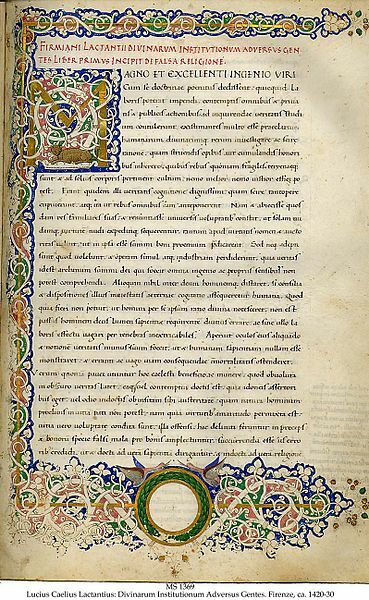 If that isn't a "charter for the papacy", then what is? Mr. Wells takes a truth and twists it into a lie. 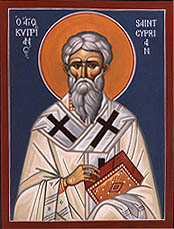 The truth -that St. Cyprian recognised the ultimate authority of all the bishops- is emphasized while ignoring the caveat Cyprian himself gives, that the Church was founded on Peter, and Christ "founded a single Chair". He makes mincemeat of St. Cyprian's words! It is men like David Wells at Ligonier that I trusted for years to give me the truth about Church history and theology. I now feel ashamed I did not dig deeper, sooner to learn that much of their claims were outright lies. Honestly, I think Ligonier is better than this sort of hack work. I tried to find an email for David, but couldn't. And of course the article does not allow comments. "Wow!" 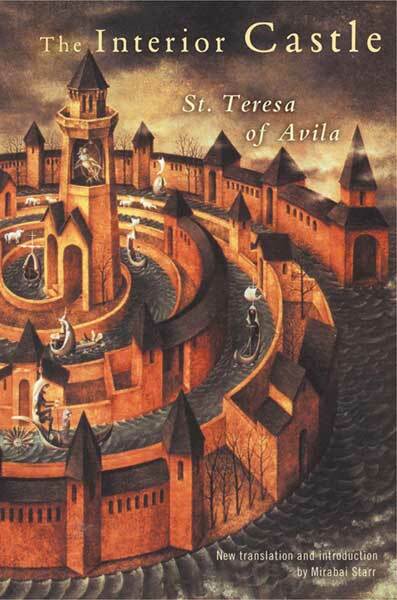 I think to myself, "cool interpretation of St. Teresa of Avila's Interior Castle! 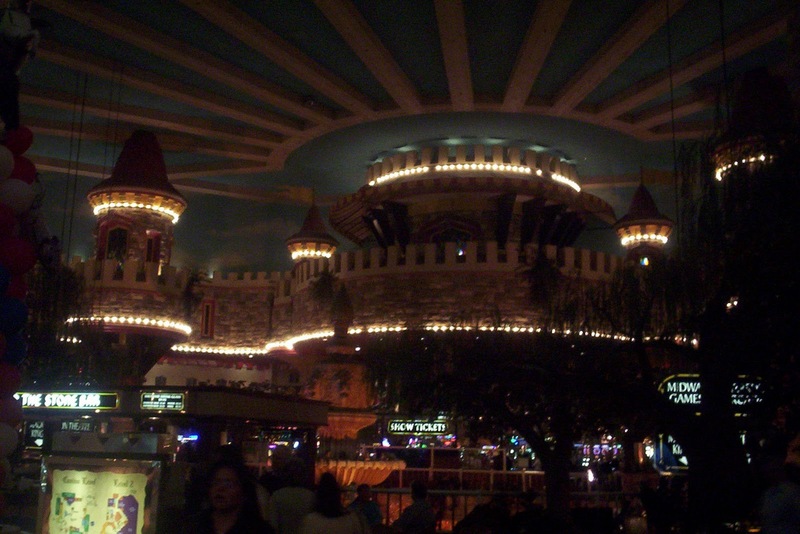 I like how the glory of God is radiating out from the center castle to the other six, sort of drawing the seeker in, and... oh wait, it says Interior castle at Excalibur, Las Vegas." 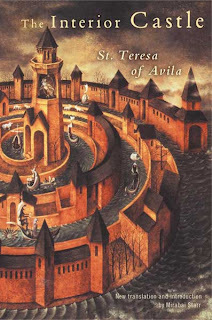 My take-away from this embarrassing experience is that we need better imagery of St. Teresa of Avila's Interior Castle if these are the only two I could find. Did Dale Ahlquist coin a phrase? In a great article titled Another Sin We Don't Want to Hear About, Dale Ahlquist laid down what I think is a very quoteable quote. Dale is one of my heros. I actually have been watching his Sunday night show on EWTN for years before even considering Catholicism an option. 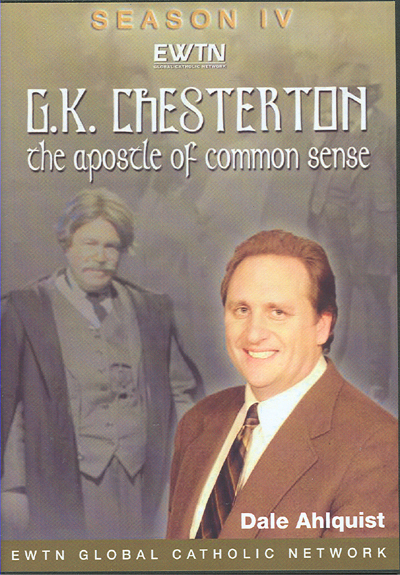 Chesterton makes so much sense, I was just drawn to Dale's weekly dose of him in a moth-to-flame sort of way. Although my wife will tell you that when the show was over, I would quickly turn the channel so as not to see the nuns praying the rosary. Scandalous! Ah, silly old me. In true Chestertonian fashion, he has a one liner in here that made me: pause, chuckle, re-read, think, grin. I actually googled the phrase and came up empty. Is it possible Dale coined it? Seems strange that he could be the first to coin it, because it is quite a simple statement, but perhaps. Anyhoo, i'll let you read the entire passage and see if you can pick it out for yourself. I love what he has to say here. So what I though was a really good one liner was "It is hypocritical to criticize hypocrites". Perhaps Chesterton said it and Dale is repeating it here? Or is it not as profound as I think it is? The Catholic Church is always condemned for condemning sins. Since we are all sinners, sin is the last thing we want to hear about. But of course, if we don’t confess our sins and flee from our sins, sin is the last thing we will hear about. That’s why the Church has a certain obligation to keep bringing these things up. The Church has to do the hard and thankless work of condemning sins. There are few folks—well, more than a few—who do not consider the Church a trustworthy authority on the subject of sin. They are quick to point out that priests and bishops and even popes have turned out to be guilty of the same sins they have condemned. But this excuse for questioning the authority of the Church doesn’t wear well. It is hypocritical to criticize hypocrites. The more interesting challenge is this: do sins change? Or rather, does the Catholic Church condemn something as being a sin in one age, but excuse it as not being a sin in another age? This is an argument that is often used against the Church’s moral teaching. In the 1960s many people in the Catholic Church were anticipating that Pope Paul VI would issue an encyclical that would permit contraception. Some argued that there was precedent for such a change in the Church’s teaching. After all, the Church once condemned usury as a sin, but no longer did. But the encyclical Humane Vitae surprised and infuriated a lot of people: the Pope upheld the Church’s teachings instead of altering them. He also warned about what would happen if the world embraced a contraceptive mentality: it would lead to abortion, divorce, and sexual perversion. Turned out he was right. Keep up the Chestertonizing Dale. First, set aside 10 minutes to watch the preview below, then watch the series tonight! Fr. Robert Barron’s Catholicism series starts on EWTN tonight and continues tomorrow and Friday (See show times below) It is on Saturday also if you miss any. These are only the first 5 episodes of a 10 episode series, so there will be more coming. Some episodes have been playing on PBS nationwide, which I think shows the series has mass appeal at least. Let me tell you: This thing is polished! It is a high quality documentary that is visually stunning, intellectually stimulating in its history and theology, yet accessible to a general audience. As far as Orthodoxy, Fr. Barron is the guy we want being the tour guide to the Catholic faith! He is smart, personable, and can see deep into our culture to find what ails it. He is a believer which Catholics and non-Catholics alike can rally behind in the culture wars, while remaining Catholic to the core. Stream it live on the web if (like me) you can’t watch it on TV. Starts at 8PM Central. Here is a short preview (2 minute) of the series. Father Barron explores Catholic spirituality, which is centered on prayer. On pilgrimage to the places where the great saints and spiritual masters lived, he explores the different types of prayer: contemplation; adoration; petition; and intercession. The revelation of Jesus as God is accompanied by a stunning invitation to a unique new way of life, explained in His teachings. These teachings are illuminated during Fr. Barron’s pilgrimages to Poland, Germany, Spain and New York City. Fr. Barron presents the reality of the Church as “one, holy, Catholic and apostolic, and explores the Catholic conviction that the life and presence of Christ continues to embrace humanity in all its joys and sorrows through the presence of the Church. Fr. Barron explores the ancient practices of the Church’s worship that endure to this very day, and shows how the Sacred Liturgy embodies the whole of the Faith in diverse places as Jerusalem, Rome, Chicago, Orvieto and Mexico City. Fr. Barron looks at some of the Church’s greatest heroes - Katharine Drexel, Therese of Lisieux, Edith Stein and Mother Teresa of Calcutta - showing how their extraordinary examples display both the passion and creative potential of the Catholic Church. Fr. 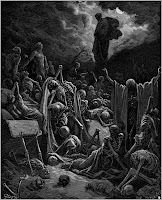 Barron presents the Catholic vision of death, judgment, heaven, hell and purgatory as he journeys to Florence, Ireland and Rome, exploring the Church’s conviction that life here and now is preparation for a supernatural destiny. "Another example is of the prodigal son. Talk about a sinner! And yet, God (the father) did not require any pleading... the robe, the ring, the calf - that was just for coming home!" Uh yeah, he CAME HOME. So he DID have to do something. If coming home with your tail between your legs like the prodigal did is not desperate pleading, I dont know what is. Yes, of course God met him from even a distance, before he even got there, but the attitude of the son was pleading humility. "However, assurance doesn't end at "mortal" sin. Assurance ends at rejection of Christ. " Mortal sin IS rejection of Christ! Mortal sin destroys the life of God in us. "Christ isn't going to divorce you - just don't divorce him!" Are you trying to lure me to hell? Christ says over and over that He will divorce us if we hate him. So yes, He WILL divorce us under certain circumstances. I still have confidence in His promises, but if I reject him, He will reject me. Dear Lord have you ever read the NT? And, if he is guaranteed to not divorce me, and my future sins are all forgiven, why bother asking for forgiveness anymore then? Why pray the part in the Lords prayer "forgive us our sins as we..." ? Is that all just a game we play with God... we pretend to be asking for forgiveness, but really we know it is already forgiven? So even if we don't ask, all will be forgiven? Which is it? It cant be both. Either we are already forgiven of all past present and future sins, or we are not. Which is it? "I see how this works into the theology of the "last rights". The problem is I don't see this reflected in the Bible. There is no example of any holy person who is held in God's hand their entire life, only to sin at their death bed and be condemned to hell." NO ONE is ever mentioned as being sent to hell in scripture dude. So no, I guess there is no biblical example. But if you can not think of dozens of stern warnings from Jesus and Paul TO BELIEVERS that they take care lest they fall away, then let me know and I will show you. My favorite example is 1 Cor. 10. Read the whole passage, it gives me chills. We must not put Christ to the test, as some of them did and were destroyed by serpents, 10 nor grumble, as some of them did and were destroyed by the Destroyer. 11 Now these things happened to them as an example, but they were written down for our instruction, on whom the end of the ages has come. 12 Therefore let anyone who thinks that he stands take heed lest he fall. Why would Paul give this warning if it were not possible to fall? And like I said, the biblical evidence is STAGGERING that we can, in fact, contrary to your claim, fall away from Christ and be thrown root and branch into hell. And if it is possible to fall because of sin, which is clear from scripture, then of course, as St. John says there is mortal sin. It is right there in 1 John dude! 16 If anyone sees his brother committing a sin not leading to death, he shall ask, and God will give him life—to those who commit sins that do not lead to death. There is sin that leads to death; I do not say that one should pray for that. 17 All wrongdoing is sin, but there is sin that does not lead to death. 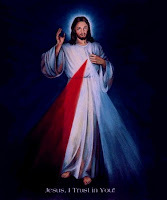 We know that everyone who has been born of God does not keep on sinning, but he who was born of God protects him, and the evil one does not touch him. John is clearly saying that a brother can commit a sin that leads to death (that is what MORTAL means), and that there are two types of sins. Why is this not biblical? Methinks you are the one who is ignoring the bible. Not to mention the fact that the writers of the bible clearly point you to their oral teaching as well, and the Church, never once do they point you to Scripture as the only authority. Not to mention the fact that Christ EXPLICITLY, EXPLICITLY, EXPLICITLY, gives the Church the power to forgive or retain sins. Something you will never see in a Protestant environment. For people who claim to listen to the Scripture, that's not very biblical if you ask me. I stumbled upon this article in the Economist which uses straight line demographic extrapolations to predict the extinction of certain countries based on trends in fertility rates. Fertility rate is births per woman over her lifetime. Replacement rate is the fertility rate at which a population does not grow or shrink. The math tells us that rate should be 2, but factoring in infant mortality rates, it varies from 2.1 in developed countries to up to 3.3 in developing countries. The average worldwide replacement rate is 2.33. There are a few problems of course, with their results, the biggest of which is pushing numbers out into the distant future based on current trends. I mean, who knows what fertility rates will look like in 20 years let alone 200. And some of these predictions go 500 to 1000 years into the future. Who knows what they will even look like after the current worldwide economic crisis. But still, it is interesting to speculate. But another thing I noticed was they are simply taking fertility rate which are less than replacement (or those which are predicted to be going less than replacement) for large populations and extrapolating them into the future until they reach Zero population. This won't work in most countries because there are always subsets of the population with a much higher than average fertility rate. Perhaps in a more homogeneous culture like Japan, with it's imploding 1.39 fertility rate this will work, but not in places like the US or Europe. This is because I can foresee there always being certain groups of people that will always have well above replacement level. I will use my own family as an example: My mother was born in the forties, one of 4 children. That is twice the replacement rate. She in turn had four children. From her four children she currently has 24 grand kids (8+6+5+5=24). And one of her children (moi) may well have more. And she is just getting started on great-grand kids with a measly 5 so far. Anyway, my point is that my extended family has an average fertility rate of 6. That is triple the replacement level folks. So lets say the United States fertility level drops below it's current fertility rate of 2.06 (which is just at or slightly below replacement for us). Does that mean our population is going to hit zero eventually? What it means is 2 things are going to happen: One, for a few decades the total population numbers will begin to decline right along with the fertility rate. Two, once the population declines enough, the fertility rate will begin to exponentially increase. Why? Because the population will begin to be exponentially composed of breeders whose rate is 4+. What we need to do is not see fertility rate delineated by national boundaries. We need to see it based on ideology. The fact that I am an American says not that much about me. The fact that I am a conservative Christian says a lot more. Being a conservative Catholic Christian also means that my offspring are more likely to stay Catholic and be breeders with a high fertility rate like their parents. Now where it starts to get weird is when you look at the other groups with high fertility rates. Islam is at the top of the list. What the picture of the world 75 years from now begins to look like as it comes into focus is a a big cross and a big scimitar. See you in the future! I know my 500 great-great-grand kids will be enjoying it! 2085. 17 Billion people on the Earth. Western culture has imploded through evil philosophy, their cities are filled with second and third generation immigrants from the global south, with the minority whites in Europe and America aging and still exponentially shrinking. European Cathedrals have been sold and are now mosques filled with young Muslims, while in Uganda, Catholics and Pentecostals are building 10 churches a week to keep up with the exploding Christian population. 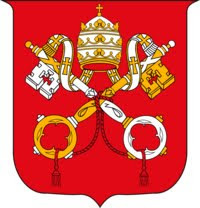 Vatican City remains the lone sovereign nation in Europe that is not a secular Islamic state (like Turkey is in 2011). The 1.2 billion Catholics of 2011 have exploded and are now 5 billion strong, with 85% of them being in South America, Asia, and most of all... Africa. Along with them have grown the Pentecostals (which now number 3 million) in the same areas, who have overtaken the rest of Protestantism which mostly died out in obscurity mid century, although there are minority pockets tolerated in the 90% Catholic USA. Europe is Muslim. Sunni Islam now numbers 6 billion and is centered in the Islamic Republic of France which is the founding member of the Islamic European Union (IEU, formerly the EU), Which has been at war with China and the Americas for the last 10 years. Atheism and non-religion is unheard of, having killed itself through lack of replication and genetic tampering. Most nations instituted laws against "irreligion" after the DNA War of 2047, in which 280 million people in industrialized western countries were killed by their own bio-mechanical cyborgs by either interbreeding with them or direct warfare. "...But some, enticed by the prediction of false prophets, concerning whom both the true prophets and he himself had foretold, fell away from the knowledge of God, and left the true tradition. But all of these, ensnared by frauds of demons, which they ought to have foreseen and guarded against, by their carelessness lost the name and worship of God. For when they are called Phrygians, or Novatians, or Valentinians, or Marcionites, or Anthropians, or Arians, or by any other name, they have ceased to be Christians, who have lost the name of Christ, and assumed human and external names. Therefore it is the Catholic Church alone which retains true worship. This is the fountain of truth, this is the abode of the faith, this is the temple of God; into which if any one shall not enter, or from which if any shall go out, he is estranged from the hope of life and eternal salvation. No one ought to flatter himself with persevering strife. For the contest is respecting life and salvation, which, unless it is carefully and diligently kept in view, will be lost and extinguished. 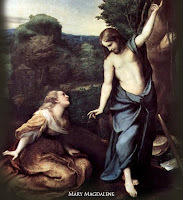 But, however, because all the separate assemblies of heretics call themselves Christians in preference to others, and think that theirs is the Catholic Church, it must be known that the true Catholic Church is that in which there is confession and repentance, which treats in a wholesome manner the sins and wounds to which the weakness of the flesh is liable." For a few months now I have been examining the four letter personality sorter called the Myers-Briggs Type Indicator (MBTI). My INTJ friend from work got me into it. At first it is quite interesting, and even a little creepy how accurate it is. Then came the phase where it actually started to change my life in small ways. I don't want to get too sentimental (although I am an INFP, and we do sentimental better than anyone ;-) but understanding the 16 different types and how they see the world and relate to it and each other was simply mind blowing to me. The Myers-Briggs Type Indicator® (MBTI) is a self-report questionnaire designed to make Jung's theory of psychological types understandable and useful in everyday life. MBTI results describe valuable difference between normal, healthy people-difference that can be the source of much misunderstanding and miscommunication. The MBTI will help you identify your strengths and unique gifts. You can use the information to better understand yourself, your motivations, your strengths, and potential areas for growth. It will also help you to better understand and appreciate those who differ from you. Understanding MBTI type is self-affirming and enhances cooperation and productivity, plus it can be fun !!! And so on for all 16 possible type combinations. The difference between sensing and intuition (S and N respectively) is enough to make anyone laugh. If you are and S, a "sensor", you will say to yourself "so that's why there have been these weird people in the shadows around me all these years." If you are an N, an Intuitive, you will say to yourself (with 25% of the population that are also Intuitives) "Thank God I am not insane! There are people like me out there!" Before I say to much and possibly skew your results, take the test for yourself! Then you can examine the different types objectively. Below, I will give free places on line to take the test. I recommend taking it from a couple sources if the percentages of your score are low. What I mean is this: When I score I-N-F-P, each letter receives a % of its intensity. For me, they are always above 60%, and on most of the tests they are in the 80% range. So whenever I take the test the result is always a very solid INFP. If you score a low % on a letter or two, That is not bad, it just means you should take a few different tests and average them out to find to most accurate result. Take the MBTI personality test! I have sorted through lots of options for you. All the tests listed here are good, and free, but I will give you my preferred order. Very short (1 min.) 24 word identification test from similarminds.com. This test is great because it is short and easy. Not much racking your brain or soul searching to find the answer, and it is super quick and accurate. Choose from a four point scale between two words such as “Tangible **** Conceptual”. Having taken all the MBTI tests on the site, I found the percentage results of this one to be surprisingly similar to the longer tests on the same website. Perhaps take this test first, then take a longer one later to compare the results. Normal length (6-12 min) yes or no test from humanmetrics.com. A statement such as “You are strongly touched by the stories about people's troubles.” With a YES or NO option. This test gives me slightly different percentages than the humanmetrics.com tests referenced above. The F and P in my type (INFP) are in the ~60% range instead of the low 80% range on similarminds.com. Overall I like this test the best because it forces a binary choice and is long enough to get a lot of questions in. Short (3-5 min.) scaled word test from similarminds.com. A single word such as “Talkative” is given and you then choose from a 5 point scale from “very inaccurate” to “very accurate” with the middle point being “50% accurate”. Normal length (5-10 min.) ~50 question test from similarminds.com. A statement such as “I am far more casual than orderly” is given and you then choose from a 5 point scale from “very inaccurate” to “very accurate” with the middle point being “50% accurate”. Rate 40 questions 1-20, a & b) from 1 to 5, with a and b not totaling more than 5. From The Ancona Family.Havent taken this one yet. Looks a bit "NT" for my taste though. But the site is a good resource other than Keirsey.com. Also this site has great statistics (My charts use the data from this site). Keirsey.com has lots of articles specific to each type. It can be a bit too horoscope-ey at times, and is obviously made more for a business environment, but the info is interesting. I like how they group the types into 4 named subgroups also... SJ, SP, NF, NT. I am liking this site a lot. Great info, and a bit less horoscope-ey. Just google your four letter type and you will have a blast. Stay tuned for another post with some nice graphics and charts with some very interesting stats on the types. Nearly HALF of the population are SJ's! That's right, of the 16 possible types, only FOUR of the types make up half of the population! This means you are probably ARE an SJ, and if you are not, you are surrounded by them. When you are done with the test, don't forget to take this poll! So I am scrolling through my blog feed this morning and notice this picture from Father Z's blog. "Why on earth does Fr. Z have a picture of a woman in a bikini on his blog? That doesnt seem like his style... uh oh wait... ha ha, wow I need another cup of coffee." 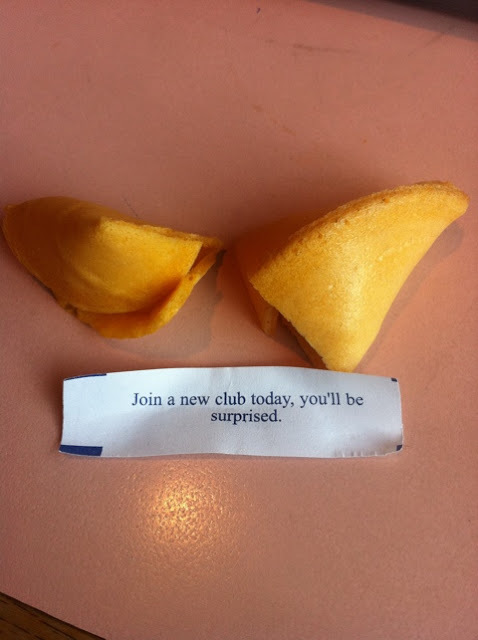 My fortune cookie should read "get your mind out of the gutter you idiot!" "if thy eye scandalize thee, pluck it out, and cast it from thee. It is better for thee having one eye to enter into life, than having two eyes to be cast into hell fire." Some aspects of being a man can be tedious. The Christian-Lutheran Feminist/Womanist/Mujerista Movements exist to celebrate the feminine persona of God/dess and dimensions of the sacred as expressed in faith, worship, learning, mutual care, and acts of justice. Yeah, makes me want to vomit as well. 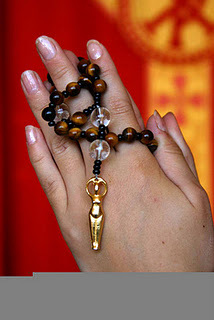 Oh and the thing she is holding is called a "Goddess Rosary". Yuck. Let's take a moment today, All Souls Day, when we visit a cemetery to pray for those who have died and are currently caught up in this and other forms of twisted modern idolatry. The world is hurting and yearning for Christ, and unfortunatley they try to find Him in some pretty weird ways.